Earlier today I arrived in the glorious Madison for World Dairy Expo. Sara: Is there something wrong with my car? Dutchmen: *laughing* No, no! You’re license plate means something funny in Dutch. Sara: What? What does it mean?? Dutchmen: Something bad. Don’t worry. Sara: Can you please tell me what it means? Dutchmen: Don’t worry. You have a very nice car, so you should be proud of that. I didn’t QUITE catch what they said… But I had a pretty good idea. My boss is Dutch. So for a minute I was thinking, “How am I supposed to word this text to Chief asking him to tell me what a potentially really embarrassing word means? ‘Hi, this is kind of awkward, but I was being laughed at earlier… what does this mean? '” But I didn’t want to do that because I was already embarrassed and sweating and I wasn’t even positive what this three letter word meant. 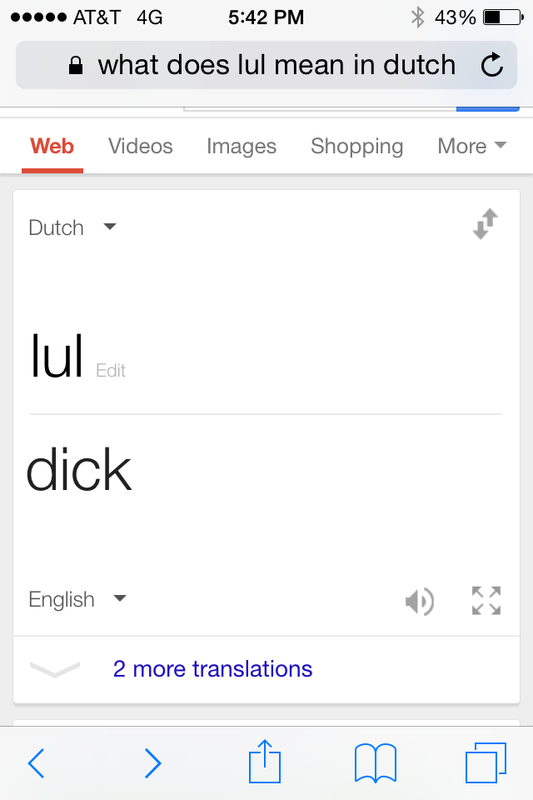 It turns out that the three letter combination that was randomly assigned by the DMV is a derogatory term in Dutch. So obviously I had to text that story to about 10 people because I was thinking WHYYYYYY MEEEEEE????? ?